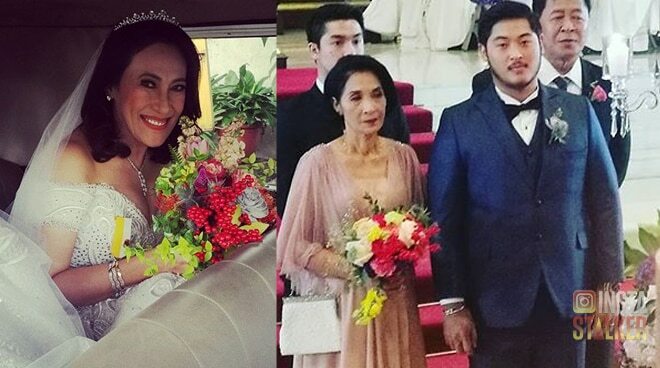 Actress Ai-Ai Delas Alas married Gerald Sibayan today, December 12, at Christ the King Church in Quezon City. Ai-Ai walks down the aisle in a Frederick Peralta gown. The groom, Gerald Sibayan, waiting at the altar with his mother beside him.